Here at Commonwealth, our Data Integrity team maintains and reconciles all of the data that appears on our Client360°®, Practice360°®, and Investor360°® platforms. These systems allow our affiliated advisors and their clients to manage many aspects of their overall financial picture. But with all this data at their fingertips, many advisors still struggle with the best way to measure portfolio performance. Specifically, they often ask us about the difference between time-weighted return (TWR) and internal rate of return (IRR), also known as dollar-weighted return, and which option might be better to use. Download our free Total Technology Solution guide to learn how Commonwealth's platform can provide a better view of your clients' overall financial picture. Here, we'll take a closer look at this often misunderstood facet of portfolio performance—and help you determine which method to use when measuring the performance of your clients' portfolios. In a nutshell, TWR shows how an advisor performed in relation to the money he or she had to invest at the time. But this method isn't always clear-cut. In some cases, a TWR calculation will be negative when your client has made money overall or will be positive when your client has lost money overall. There may be times when a household TWR calculation doesn't give you the results you'd expect. Also, TWR can be difficult to explain to clients. As a result, some advisors turn to IRR, which tends to more closely reflect what the client made. But is IRR really a better calculation methodology? Is IRR Better Than TWR? Although account A has been open twice as long as account B, if you were to calculate a return from inception through March 31, 2017, you'd expect both accounts to have a 10-percent return. In fact, that's exactly the result you would get if you ran either an IRR or TWR calculation for each account separately. The accounts are combined as if they were one account. The start date of the oldest account becomes the start date of the group. The IRR is a dollar-weighted return, calculated by discounting all the cash flows back to the start date of the account. So, in the example above, performance for the two accounts would start on March 31, 2015, and the $10,000 cash flow on March 31, 2016, would get discounted back to the start date. Since the second cash flow came in halfway during the return period, it would be given half the weight in the denominator of the return calculation. Consequently, there would be a gain of $2,000 on net capital of $15,000 (instead of $20,000) and a return of 13.3 percent (instead of the expected 10 percent). With an initial contribution of $10,000, an additional contribution of $10,000 a year later, and total gains of $2,000, the return would be the same as in the previous scenario: 13.3 percent rather than the expected return of 10 percent. Why? The second cash flow would get discounted back to the start date of the performance range, resulting in a smaller denominator and a larger return than you'd expect. You should keep in mind that IRR calculations don't always show higher returns. Actually, the reverse holds true for withdrawals. They don't reduce the denominator as much as expected, and you're left with lower-than-anticipated returns. For these reasons, take care when reporting on returns using the IRR methodology. Let's look at another example to illustrate how TWR and IRR can produce dramatically different results. You've been managing your client's money for 9 years, taking an account with $10,000 and no additional contributions and doubling it to $20,000, for an approximate 8-percent average annual return (with both TWR and IRR). At the beginning of year 10, your client asks you to invest $1,000,000 that he's inherited. You decide to let it all ride on the S&P 500, which loses 30 percent that year. TWR: Despite the bad year, you still have positive performance. The portfolio has achieved approximate annual returns of 3.4 percent. IRR: Here, what you've done as a money manager for the past 9 years is rendered irrelevant. Your client has lost substantial money, and your annualized return over that period—even with the discounted cash flow denominator—will be negative. 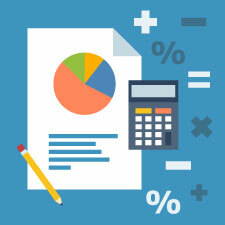 In some cases, you just want to calculate a simple return, where the total gains are divided by the total investment. But this would be challenging with an account that has multiple cash flows. For example, what if an account started with $50,000, had an additional contribution of $50,000, and then had a withdrawal of $20,000? Should you apply the gains to a $50,000 investment, a $100,000 investment, or an $80,000 investment? A simple return of total gains divided by total contributions doesn't work on complex, real-world accounts with multiple cash flows. IRR attempts to replicate the client experience by applying total gains to the average investment amount. But IRR is distorted by cash flows, as shown in the previous examples. TWR tries to negate the effect of cash flows, which are generally beyond the advisor's control, and show how the advisor performed. But it can also produce results that are not intuitive. Here at Commonwealth, we provide both TWR and IRR within various Client360° reports, but we tend to favor TWR methodology for longer-term performance calculations. In general, we believe TWR is a better representation of an advisor's performance in managing a portfolio. And unlike IRR, it can be compared easily with indices and other investments and money managers that use TWR. Of course, neither method is perfect. It's important to understand the complexities of each before determining which methodology to use when measuring portfolio performance. Which method do you use when measuring portfolio performance? Do you think that TWR provides a better perspective? Please share your thoughts with us below. Editor's Note: This post was originally published in September 2015, but we've updated it to bring you more relevant and timely information.